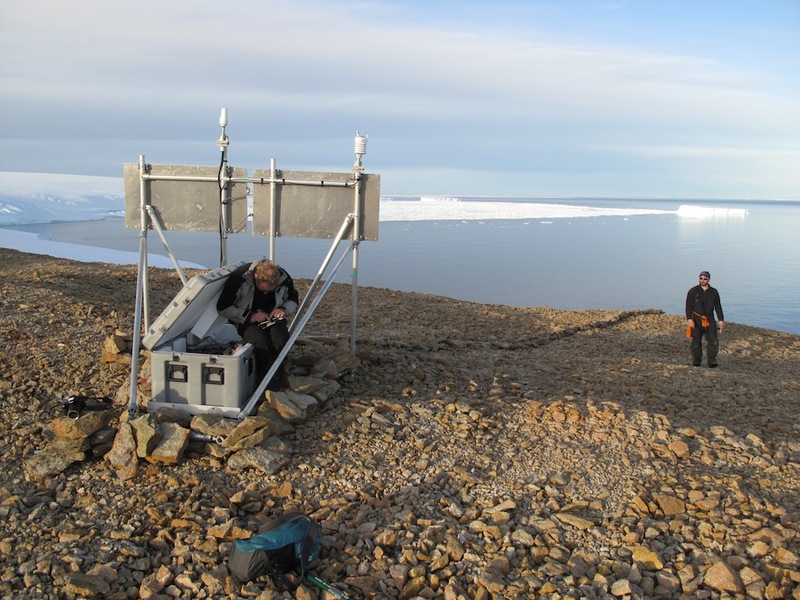 The OTI research team has two projects for the 2016 season: a return to the Antarctic Peninsula where a large plate of ice is on the brink of collapse, and testing of a new instrument on a frozen Minnesota lake. 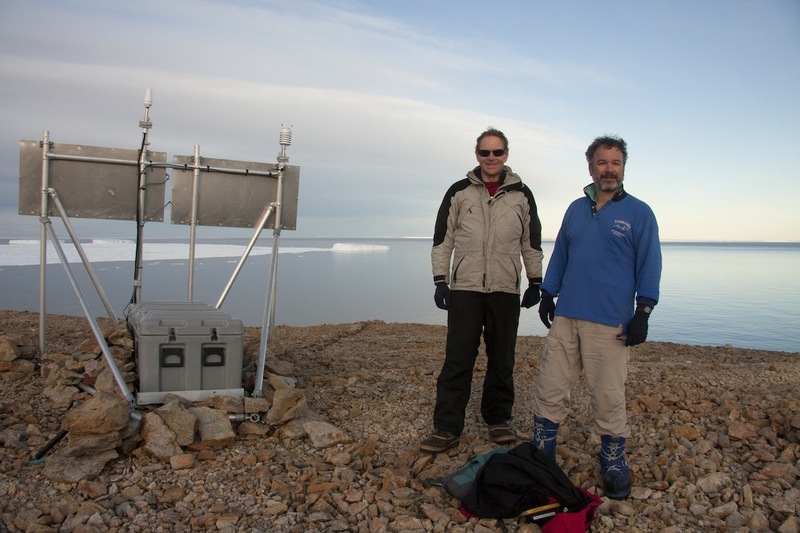 The instrument (an ‘AMIGOS-II’, upgraded from the devices already operating in Antarctica) is designed to make combined measurements of weather, ice conditions, and ocean currents and temperature from atop an ice shelf or sea ice. 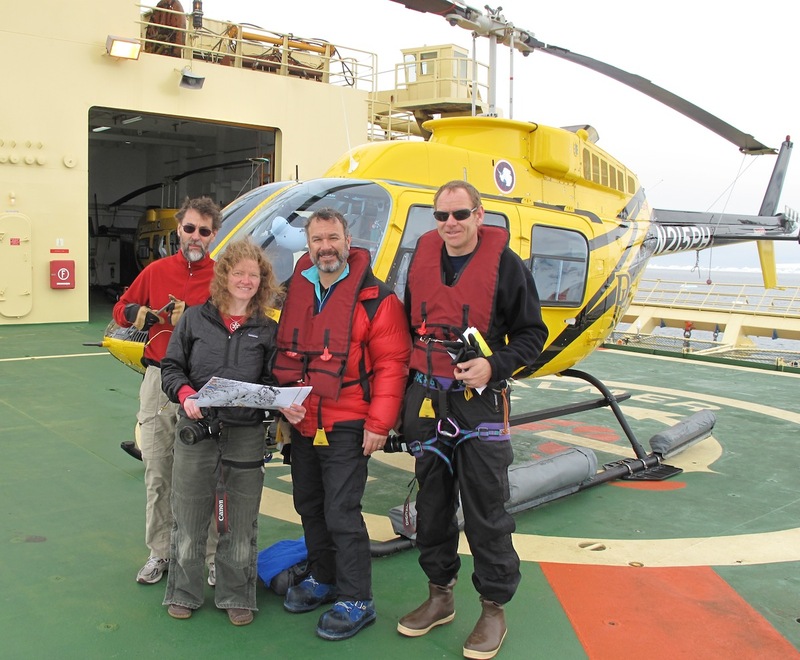 The Antarctic field work is first, and then we’ll shift over to track the instrument expedition in February. Posted in Uncategorized | Tagged field work | Comments Off on We’re back! 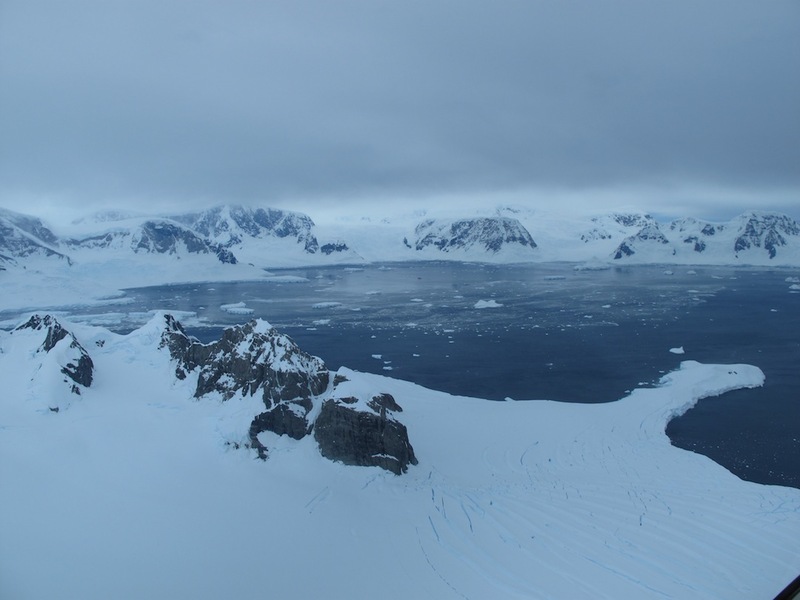 We arrived at Rothera, a British base on an island just off the southeast side of the Antarctic Peninsula, on Sunday, December 6. 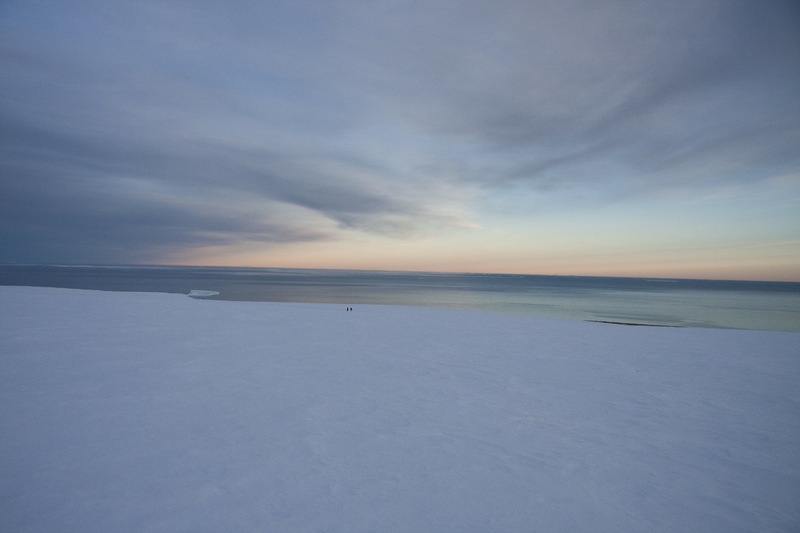 The camp is set in the most spectacular polar landscape you can imagine: mountains drenched in frosting ice. Some of it is windswept and blue, some of it shatters under the stress of flow over bedrock and scattered sea ice adrift in the wind. Almost surrealistic is the natural sculpture garden of icebergs, set out by some immortal art director in the bay just in front of the main dining and living building (New Bransfield House). 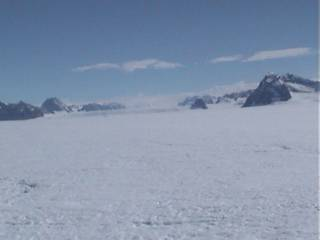 It’s the kind of landscape reveals the hidden power of the forces at work in Antarctica: ice, ocean, weather, wind. It is a landscape of natural power. Orcas play in the open water between the bergs. 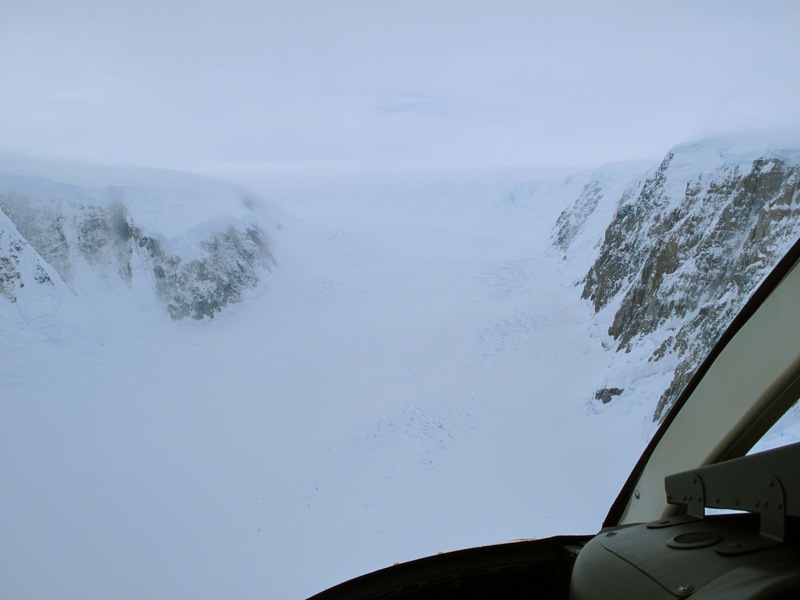 Rothera Base is built on either side of its two most valuable assets, a flat 3000-foot, perfectly smooth gravel airstrip, and an excellent deep-water wharf. 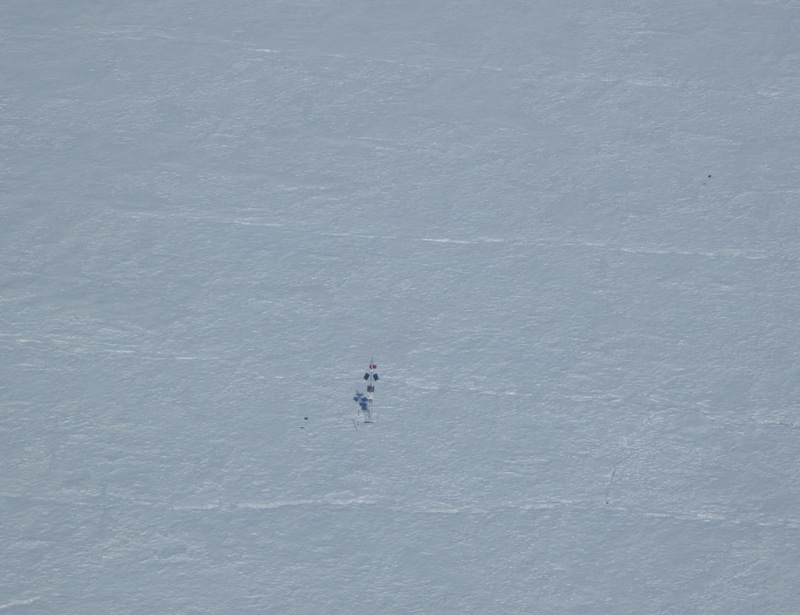 The conjunction of these two things means that it’s a place where wheeled aircraft from the north, ships from anywhere, and ski aircraft of the deep icefield activities can mingle. 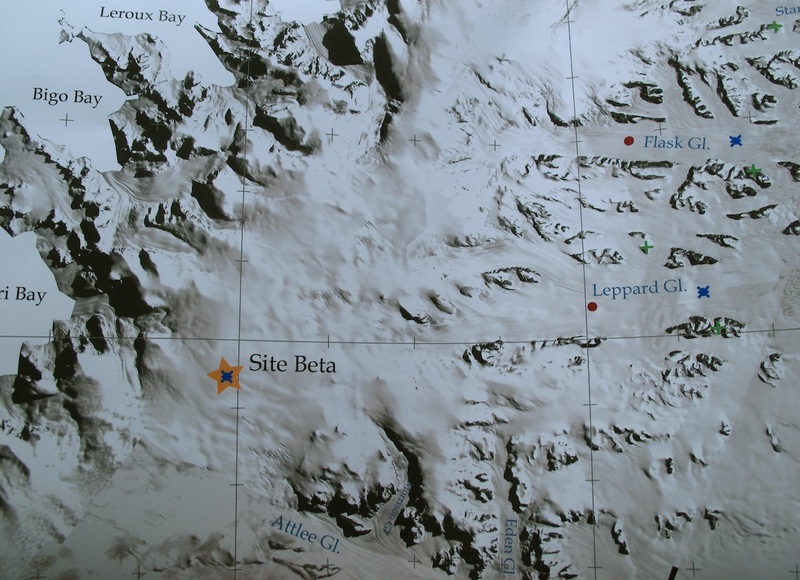 Rothera stands at a rare logistical trifecta on the Antarctic coast. The base houses about 100 people, and has room for 150 (astonishing to find a base in Antarctica with room to spare). To a person, we met energetic cheerful people, starting with the base commander, John Withers, the science liason Tamsin Gray, the hanger staff (Clem, a veteran of four winters and countless summers), and the ‘Saints’, the team of staff from the island of St. Helena who run the kitchen, maintenance, cleaning, laundry, etc. 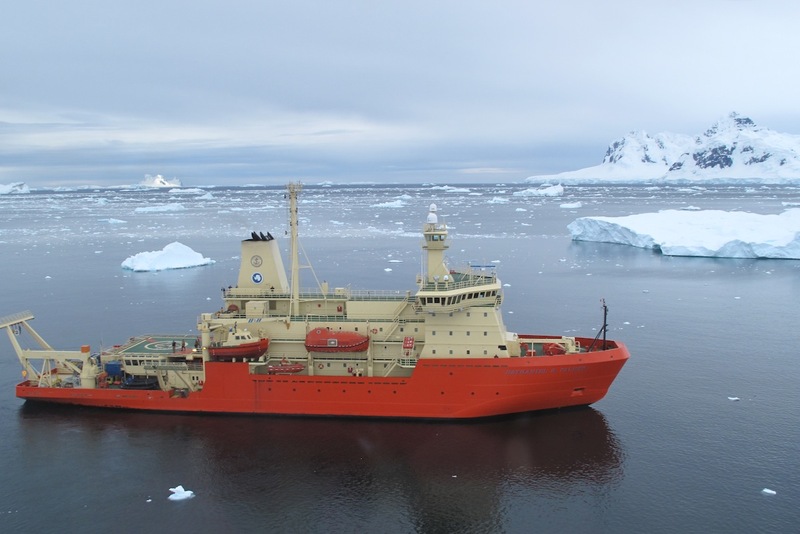 We really enjoyed the people and personality of Rothera. It’s a gem, it’s successful, and it’s efficient. By late that afternoon, we had our bunks set up, a large office (which we packed nearly full with our gear), and we were well on our way to finding everything that had been shipped down for us earlier: a snowmobile, sleds, generators, tents, food; all in all about 4000 pounds of gear to make our own outpost on the ice. 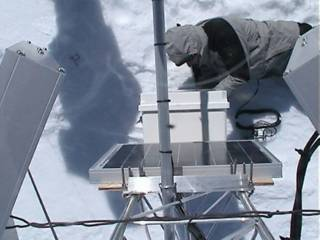 We spent the next day (a spectacular day of sunshine) testing our radar gear at a nearby snowfield, ably assisted by Adam. 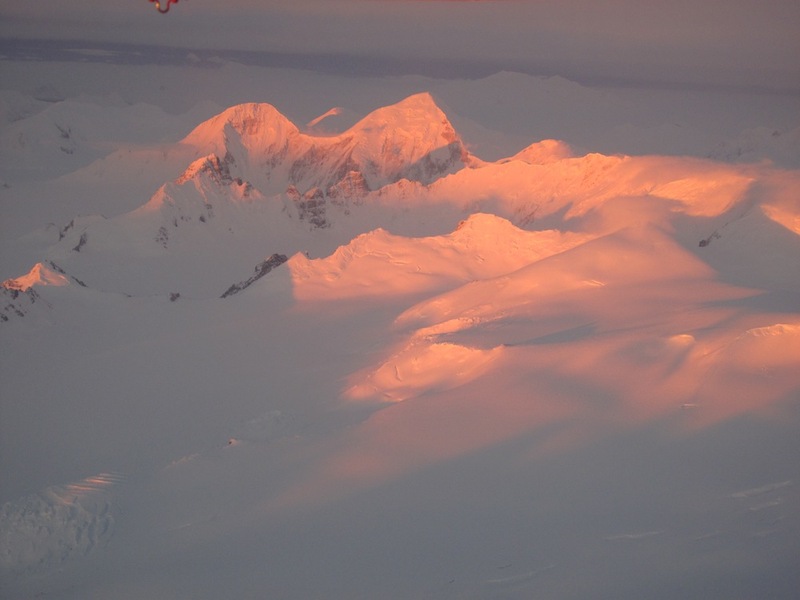 On Tuesday morning we were told the weather would be good enough for a put-in of our camp on the ridge crest of the Antarctic Peninsula. 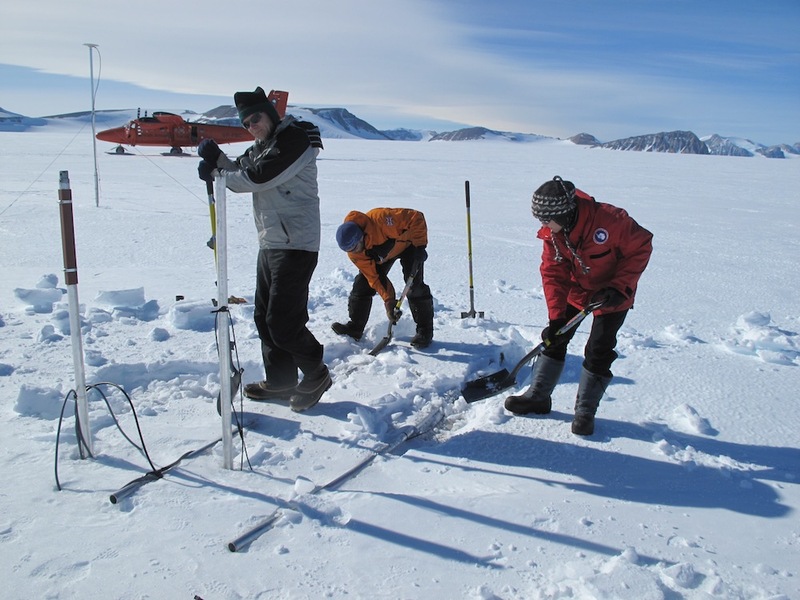 The goal for the IPR study (Ice Penetrating Radar) is to find a good site for drilling the LARISSA ice core. 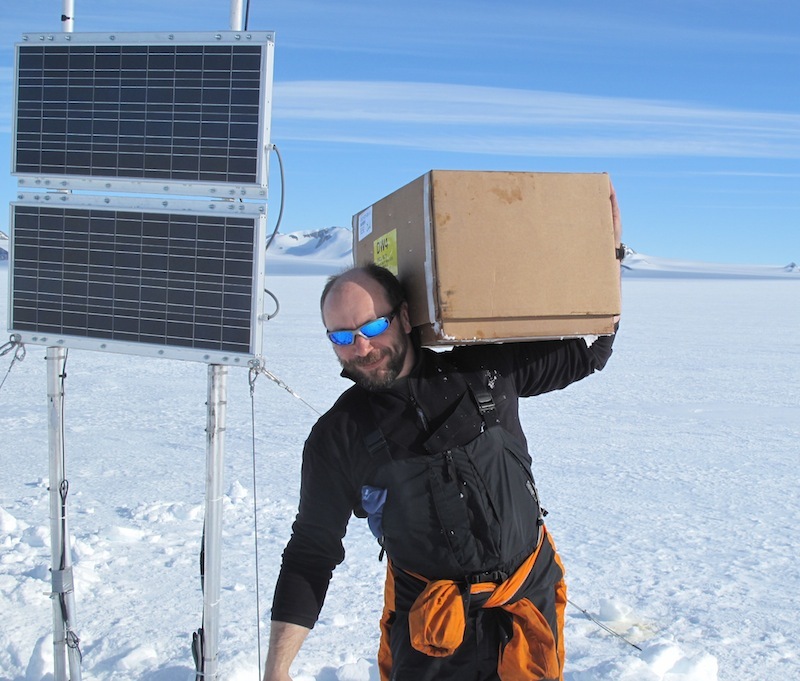 With the ice core, we are hoping to retrieve a record of climate for the past several thousand years–the older the better. 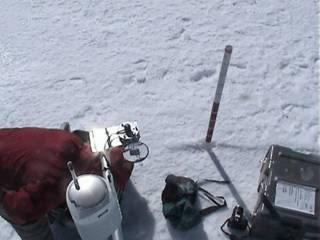 So the key is to find a spot that has smooth ice layers, and lots of them, from top to bottom. Earlier, the LARISSA team had pored over what data was available from aircraft and satellite, and selected a search area. 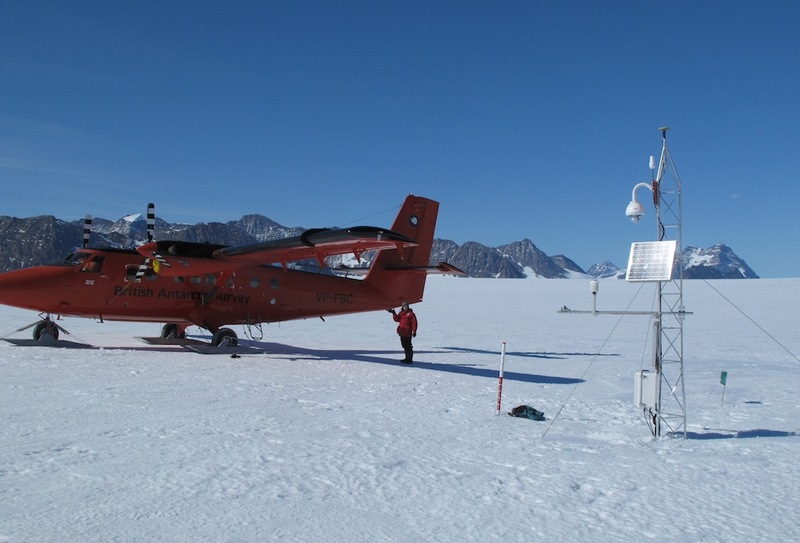 It was our job to fill in the gaps in the search region with a ground survey, using ice radars, GPS, and all the previous data together. Basically, we had to put an X on the map, the best X we could find. We had about 5 days. The put-in by Twin Otter could not have gone better. The weather was clear, warm (about -8°C. That’s warm, isn’t it? ), and best of all light winds. By the time I got there on the second flight, Erin and Rob already had the tents set up and the basic layout of the camp done. We looked it over, baking in the intense sunshine, the camp all neatly laid out and clean. 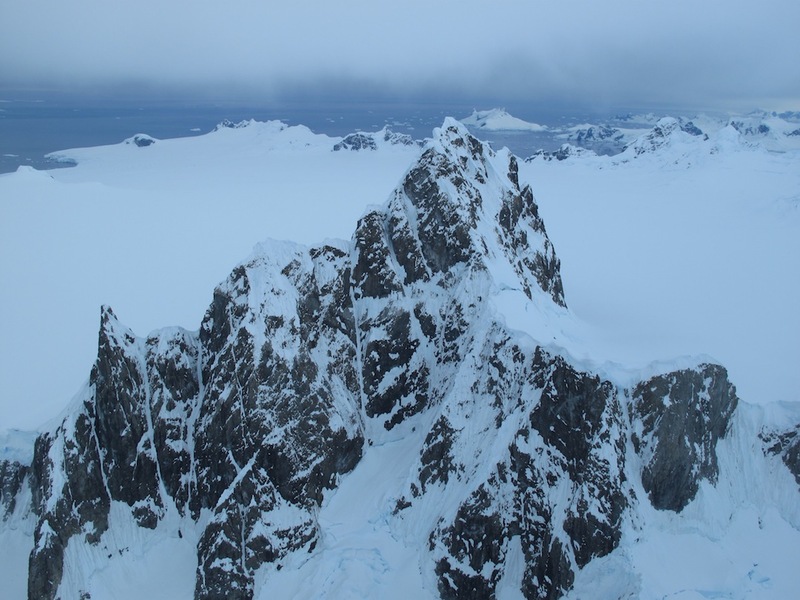 A smooth white plain stretched to the horizon, but in the distance there were mountain pinnacles and ridges, black like jet glass shards rising from the ice. I dared to be optimistic. The next day proved to be more of a challenge. The wind picked up to 25 knots, and snow began to blow across the surface. 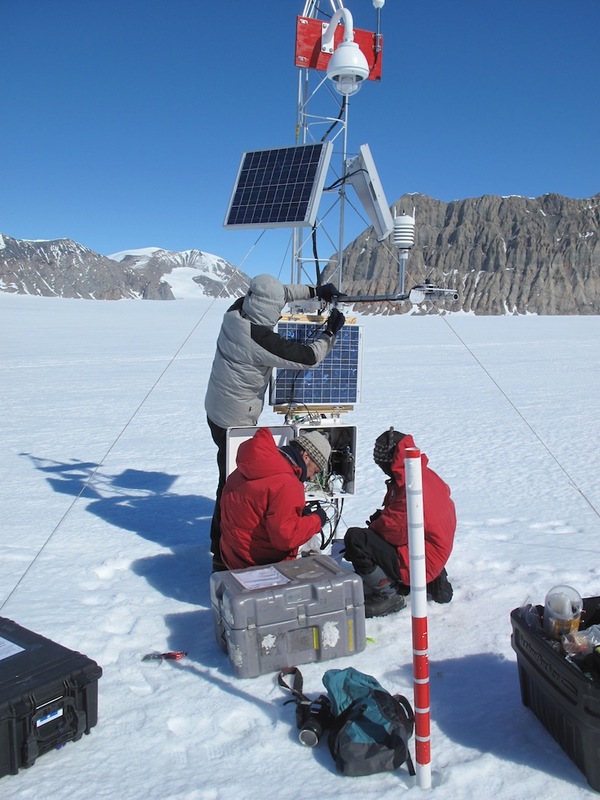 We still managed to get the science gear mounted on the sleds, and by the end of the day we were comfortable with our plans to resurvey the airborne data and drive a grid pattern over the 8 by 8 km region we were mapping. In the next three days, we packed 70 km of snowmobile driving into that 8 by 8 box. Things could not be going better.